There are lessons to be learned from micro campaigns like Giving Tuesday (the busiest day of the year for online fundraising) and GoFundMe’s, for charities. But do organizations know how to implement these campaigns in their fundraising plan? Atlantic Canadians are generous. From establishing the first charity in Canada here in Halifax, to giving to help someone less fortunate than us isn’t something we question, it’s what we do. Over 8,000 charities in Nova Scotia alone, help facilitate this giving. But are our organizations nimble enough to respond to a changing giving landscape? Micro campaigns are popping up on social media every day from a source who traditionally hasn’t asked us for donations: our family and friends. Over 10,000 GoFundMe pages are set up every day. The line between giving to charity and giving, are becoming blurred. Can you use Giving Days and Micro Campaigns in your organization? Of course you can. Learn from examples of both Giving Tuesday and from Dalhousie on how to compete in this new giving environment. Participants will understand what is working in planned giving and what isn’t. Overview of getting back to the basics of planned giving – bequests/securities – with some focus on starting to think about overall strategy not just tactics. 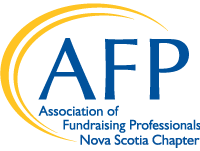 In addition participants will understand value of the Canadian Association of Gift Planners (its national and local resources) and CAGP’s Leave a Legacy program. What is your planned giving program in you organization? This presentation provides an opportunity to learn the basics of planned giving and get the "straight up talk" on how to improve your organizations planned giving strategy. If you are interested in collaborating more effectively and feeling more enthusiastic about work or life, this course is for you. In this presentation, Floria injects humour, good will, positive energy, and lots of fun into every situation for more joy. Give yourself a gift - come and get inspired. Role of culture of philanthropy and donor-centred fundraising in communications. Developing a case for support. Communications plan overview and tools. Development staff seek to secure donors and continued support through marketing and communications. Communication staff seek to engage the public, and build brand profile and visibility. With differing agendas, conflict sometimes ensues. What to do?! Developing Communications for Your Nonprofit or Charity will equip your organization with the knowledge and tools to create effective communications to support and advance its Mission. You're strategic about your fundraising. You're committed to your cause. Are you as invested in your career advancement? Through the lens of being female fundraisers, Marni Tuttle, Lisa Weatherhead, Sarah Lyon and Liz LeClair’s will lead you through a workshop on setting career goals and a path to your future, through their lived experiences. Inspired by the quote from Roxanne Gay, "If you and your friends are in the same field and you can collaborate or help each other, do this without shame. Men invented nepotism and practically live by it. It's OK for women to do it too". In this workshop-style session, you’ll learn about their Goals Gone Wild pilot while you create your personal career path. Evaluate your strengths, explore what type of work you enjoy and determine what you need to meet your goals. Create your personal path and learn how your network can help you be successful. You’ll leave the session with a plan to help you succeed in your career. Oh no! Are you ready for a crisis? Learn how to prepare for the day you hope never comes! No one wants to think about a scandal or an emergency at their organization. But if the unexpected happens are you ready? What would you do first? A communications strategy that includes the board of directors, donors, stakeholders and staff is just the start. How will this potential public relations disaster affect your mission and the people associated with your non-profit? Are the media calling? Through various examples of a crisis striking a non-profit we will review best practices and learn from past mistakes and successes. Whether it is an alleged fraud, a suspicious death on-site, sexual harassment allegations, an accident, a protest or any other crisis, you want to be prepared. This session will provide you with a strategy, proven techniques and tips on how to go back to the office and prepare for the day you hope never comes! Joshua Marshall, MCR West Ltd. This presentation was first delivered in the fall of 2018 at an AFP Breakfast in Edmonton, AB. Typically, breakfasts attract 30-40 individuals but this event had 60 guests. The audience ranged from those new to fundraising and included 5 senior executives. There were also several HR professionals in the room. MCR West has been asked to make the presentation to several organizations since. The provocative title is more than a title. The session explores the not so dark secrets about why the tenures of fundraisers are so short. There are two goals: One, we want to shine the light on ourselves as professionals and understand our pressures to perform through the lens of different levels of seniority. Two, we challenge the audience to be early adopters in changing the narrative about short tenures, how to encourage retention, and how we can remain in our roles longer by understanding the pressures of our peers. Our industry is in a crisis. There are fewer Canadian donors. The cumulative giving by Canadians is now on a decline. Compounding these challenges fundraisers have an average 18 month tenure in their roles - a full-time recruiter recently shared they are seeing that tenure length shrink. As industry leaders we have a part to play in correcting the dangerous trajectory we're on. This session unpacks our roles, no matter what your title or responsibilities, in improving these statistics with those that we hire and work with. Building upon the work of Appreciative Philanthropy and the Art of Hosting and Harvesting Conversations that Matter, this workshop teaches how to host meaningful conversations that lead to transformational philanthropy and develops a culture of contribution.In collaboration with noted development professional James Hodge (currently, Associate Vice Chancellor, Development, at the University of Colorado, Denver, Colorado, and most recently Director of Principal Gifts at Mayo Clinic, Rochester, New York), Gordon has developed “The Essence of Generosity,” a series of training programmes and workshops that explores the importance of meaningful relationships in developing legacy gifts. One way to be the Big Impact Change Leader in your community is to ignite the passion in people to realize they are important and what they do is critical to the world. Money in the Middle: How to Get a Thicker Mid-Section and Why You Should Want One! The Missing-Middle is a hot topic in our philanthropic landscape right now. Somewhere between traditional annual donors and philanthropic unicorns that are major donors lies a unique and powerful Mid-Level donor segment. This very niche intermediate pool of donors is consistently the odd man out in the usual Monthly, Major and Planned Giving power trio even though it represents the biggest growth potential over time for most organizations. - Operational elements inherent to Mid-Level Giving programs. Rosalie Courage, RBR Development Associates Ltd. In today’s competitive marketplace for lifetime and planned gifts, those charitable organizations who have the foresight, tenacity and leadership to change cultures to realize blended gifts and augment revenue that would not be forthcoming within the vortex of the standard fund development programs. Get out of the vortex.......When the economy is 'shaky' - donor concerns - retirement, health , family - blended gifts can bridge these gaps…a gift today…another in between….something later. We will explore the possibilities and pitfalls, metrics for tracking and how you can make it happen. The effort will be rewarding! Using more than 30 years of sector data to examine donor behaviour in Canada and how to use that data to strategically plan your fundraising approach for the 1-3 year(s) ahead. We'll examine ROI (return on investment) and ROE (return on effort) using case studies. Are you realizing the returns on effort (ROE) and returns on investment (ROI) from your fundraising programs that you planned on? Or are you spinning your wheels - putting in lots of effort for diminishing or lacklustre returns? We'll look at what the trends are telling us and how we can apply that knowledge to help us improve our effectiveness and efficiency. Ultimately major gift fundraising means asking someone for money face-to-face. Not an easy task, and not a natural thing in many ways. But if you are going to be successful in major gift fundraising, you need to be successful in major gift solicitation. Struggling to find the best approach strategy to ask for money? Not sure how to get to the point of asking? Looking to find the correct words? Attend this practical and fun session and learn the strategic overview of major donor solicitation; review the elements that influence a decision; examine the psychology of a successful ask and the secrets to success; and have fun participating in solicitation role play. 1. Understanding the importance of effective face-to-face solicitation to building a successful major donor program. 2. Understanding how effective solicitation can produce dramatic success in a development operation. 3. Understand the psychology of effective asking, and the techniques of how to present an effective ask to a prospect. Anne Melanson, BPr, CFRE, Bloom Non-Profit Consulting Group Inc. The presentation will start with a 25 to 30-minute overview of truths and best practices in Board engagement in fundraising. The second half of the session will be an interactive discussion with participants, who will be invited to describe their specific challenge, problem, or opportunity, and the presenter and audience will offer prospective solutions for consideration. Fundraisers and staff leaders of charities are looking for practical ways to enlist the help and support of their Board in fund development. This session will debunk some commonly held myths and provide practical advice on ways that you can more successfully enlist the help of your Board in fundraising activities. During this session two important elements of fundraising will be explored to help you raise more money. Firstly, learn how to find more prospects through common sense data mining strategies. Then we will explore how these donors can be activated through a practical moves management tool that will create more clarity for your relationship management team. Topics covered will include data mining, prospecting, segmentation, relationship management, donor activation and performance measurement of relationship managers. Come learn from a tried, tested and true model that has been perfected over 20 years to find more donors / prospects and to activate them to raise more money! Campaigns remain an incredibly popular and effective way to raise money. The strategies and methodologies that drive a campaign, however, continue to evolve dramatically. With new ways of engaging volunteers, crafting the case for support, and framing campaigns as multi-layered initiatives, a true transformation is afoot. In this session, KCI Partner Michael Logue will unveil the findings of a 2018 national survey of charities’ views on the current reality of campaign fundraising. Combining this data with ‘on the ground’ examples from a wide range of organizations, this session will arm you with the insights you need on what’s changing, what’s staying the same, and what are the trends that will shape this method of fundraising over the years to come. Participants attending this session will gain an understanding of the key trends in campaign fundraising, informed by insights from organizations across all sizes, sectors and geographies. They will learn to assess their organization’s readiness to launch a major campaign initiative and determine the campaign strategies that will be uniquely right for their organization. Wendy Smith, Sargent Solutions Inc. Leadership does not go hand in hand with your title. Everyone in an organization can play a role in being a great leader but it must start at the top. We must not get confused between what a “manager” is and what a “leader” is. Managers manage things like plans, metrics, projects, hiring,,, “leaders” lead people. Drucker wrote. “The task is to lead people. And the goal is to make productive the specific strengths and knowledge of every individual.” Employees need to feel like their work is making a difference and if they are micromanaged their input doesn’t matter and therefore they feel frustrated and eventually leave to find a leader who knows that when you give people clear objectives and the right tools they can accomplish anything. This session will look at the top trends in social media for 2019 and discuss how charities can build them into their marketing plans. We will look at live & recorded video, messenger marketing, podcasts and social advertising. Are you ready to step it up a notch when it comes to promoting your cause online? Social media marketing is changing at an ever-increasing pace and what worked last year, might not work next. Join social media expert Anita Kirkbride to learn what's on the horizon for social media marketing and how you can build it into your marketing plans going forward. CFRE Board Member, Liz LeClair, presents the pathway to becoming a CFRE. The presentation will include the steps you need to talk to apply, an overview of the exam process, and a Q&A section for participants. How do you get to the next level in your career? How do you demonstrate to your peers, donors, upper management and the board that you are truly a knowledgeable fundraising professional? Thousands of fundraising professionals worldwide have boosted their salaries, career prospects, and fundraising knowledge by becoming a Certified Fund Raising Executive (CFRE). Come to this session to learn more about the CFRE credential – what it is, what it can do for your career advancement, how it complements education programs for fundraising professionals, the application requirements, and tips for taking the CFRE exam. You’ll have your questions about the CFRE answered so you can begin your CFRE journey. The Next Generation of Giving 2018: Are You Ready to Reach Gen Z, Gen Y, Gen X, Boomers and Civics? Find out how your organization can tap into the next generation of giving. Using ground breaking data from the definitive third study of Canadian and US donors – alongside relevant and riveting examples, we'll talk you through the new do's and don'ts of omni channel and on-trend multi-generational fundraising. If you're wondering about multi-channel and multi-generational fundraising, brand building and advocacy programs, social media, acquiring new and younger donors or you just want to know how Canadian (and US) donors really feel about non-profits and giving, this fact-filled, one-of-a-kind session is for you!